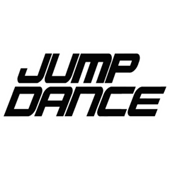 Welcome to Jump Dance Studio! Please complete the following registration form. PLEASE NOTE: The credit card / bank on file will NOT be charged upon registration. Payment for September tuition is due by the first class. Please see below for our auto pay/late fee policy. Let us know if you have any questions! -Tuition is due and payable on the first class of every month. -It is a requirement that each Jump family have at least one credit card, debit card, or bank account on file. -Auto-pay is available for Jump payments. -Cash and check are accepted for all payments. Debit cards/Visa/Mastercard/Discover are accepted for tuition auto payments. -If a balance is past due by more than 14 days, the card or bank on file will be charged for the amount due on the 15th of each month. For example, if your September tuition is $100, and it has not been paid by the 14th of September, the card on file will be charged $100 on the 15th of September. -Multi-class and multi-student enrollment discounts will be automatically reflected when tuition is processed on the first of each month. -All new students to Jump who have not taken a class previously are entitled to trial a class in their age level for no cost. -Current students are allowed to trial 1 class for free if they have never take that class category before. Example: Have been taking ballet and want to try Jazz. -Any family account that has unpaid fees will not be permitted to take free trials. -Makeups must be made within 30 days of the missed class. I understand that pictures may be taken before, during, and/or after classes, events, and shows. Jump has my permission to use my or my child's photograph publicly to promote the studio and its programs and events. I understand that the images may be used in print publications, online publications, presentations, websites, and social media. I declare that I am registering on behalf of my child who is under 18 years old. My child is in good health and capable of undergoing the course of dance and/or exercise for which I am now enrolling. I realize that I assume full responsibility and risk for any injury or damages which my child might sustain either directly or indirectly from any cause whatsoever related to the course of dance, activity and/or exercise which I participate in at Jump Dance Studio. I also agree that the owner and operators of Jump Dance Studio shall not be responsible for any of my personal belongings or items or any loss or theft thereof. I understand clearly that no representations, warranties, or guarantees of any kind, whether expressed or implied, have been made to me regarding the results of the course of dance and/or exercise for which I am now enrolling. Jump Dance Studio follows the NYC Department of Education schedule for closures throughout the year. Please feel free to reach out to Jump Staff in order to check or confirm closure dates.